Too often we vegans are met with naysayers suggesting veganism isn’t feasible; isn’t realistic; isn’t sustainable. To that we vegans say phooey! Non-vegans are missing out on the rewarding benefits and blissful beauty of leading a lifestyle free from animal abuse. No one’s perfect, but anyone still downing dairy, eating eggs or munching meat can without fanfare abandon said bad habits and the sky won’t come crashing down! Point. Of. Fact. To the naysayers, we offer you this: an all-inclusive weeklong vegan vacation in Southern Italy. You imagined traveling vegan was challenging? Think again! We can have our vegan cake and eat it, too. Thankyouverymuch. Indeed, thanks to Tierno Tours and Green Earth Travel, vegans and the veg-curious can indulge in a hassle-free eight-day trip packed with plant-based edible pleasures, partnered with typical touristy treats. From sightseeing to shopping, lovely lodging to cultural outings, there’s something compelling for everyone participating in this inaugural installment of what’s been aptly titled the Vegano Italiano Festival. Occupying the four-week span of July 2015, travelers can choose from among four different date ranges and, more rad than that, guests can also select with whom they’d like to spend roughly 192 hours. Each week features a different vegan scene “celebrity” — from the talented ladies of Our Hen House, Jasmin Singer and Mariann Sullivan; to the widely admired No Meat Athlete, Matt Frazier; from cashew cheese connoisseur and esteemed cookbook author Miyoko Schinner; to desserts diva and the authority on all things chocolate Fran Costigan. The list goes on, but you get the idea. For specifics surrounding these and other recognizable vegans you’ll bond with in Italy, click here. For Ms. Schinner, July can’t come soon enough. “I live for Italian fare, especially the vegetable-centric cuisine of Southern Italy — simply prepared, perfectly enhanced with a bit of seasoning. Italian food speaks to my soul. But it’s not just the eats; it’s the setting, the ambience, the culture, the lilting voice of the waitress who says Allora! as she serves you your carafe of the house wine made from its own vineyards. It’s cruising through the hillsides of the Amalfi Coast and seeing the backyards filled with olive trees and ripe tomatoes. It’s the loud, friendly voices in the markets, the impossibly beautiful scenery dotted with the rustic history of ancient villages, the vibrant colors…” Clearly this San Francisco-based fromage savant is ready to go! While she’ll be executing cooking demos over the course of her particular trip, OHH will be podcasting from the road and discussing relevant topics with travel companions. “We plan on making ‘Hen Week’ the trip of your lifetime,” enthuses Ms. Singer. “You can expect a workshop that debunks any questions a burgeoning vegan, or even a longtime vegan, might have.” Their week also includes the presence of Chef Jason Wyrick, so anticipate tasty cooking tips from him as well. As for Ms. Costigan, she’s still debating which sweets to whip up during her designated week. “Will it be the Italian olive oil and almond cake or the classic chestnut cake known as Castagnaccio? Espresso truffles or biscotti? Definitely chocolate crostini with local fruit!” Brace yourself for much chocolate homage with this cocoa pro. So, to sum up: Rub elbows with your favorite vegan figures. 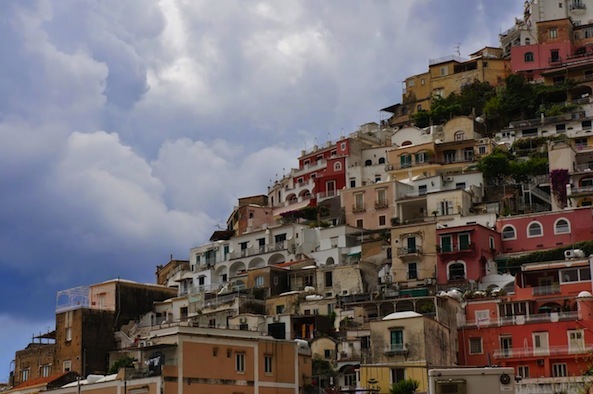 Explore Pompeii and Positano, among myriad other locations of note, all the while daydreaming about the magnificent meal you’ll share with your group later that evening. Appreciate ancient ruins alongside likeminded animal lovers. Wake every day in a four-star villa/B&B in The National Park of Cilento — a UNESCO site in the Province of Salerno, in Campania — and sleep easy each night knowing you were part of something special and completely compassionate. To make inquiries or to secure reservations, call or email Green Earth Travel’s Donna Zeigfinger: 888.246.8343 and info@greenearthtravel.com.